Here's a recycled "menu board" from a restaurant. 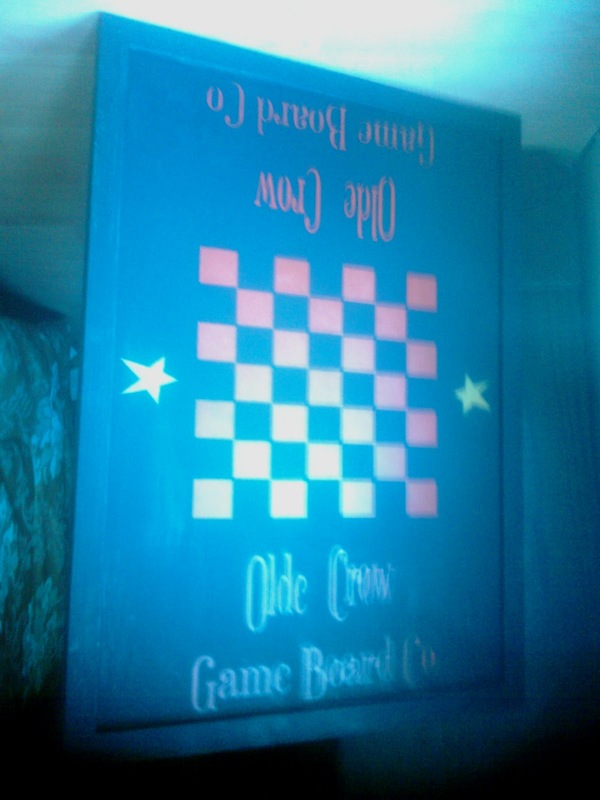 I painted it black and made it into a primitive game board. 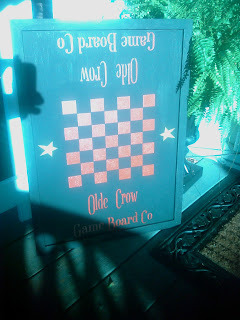 I got the checkerboard stencil off from eBay. 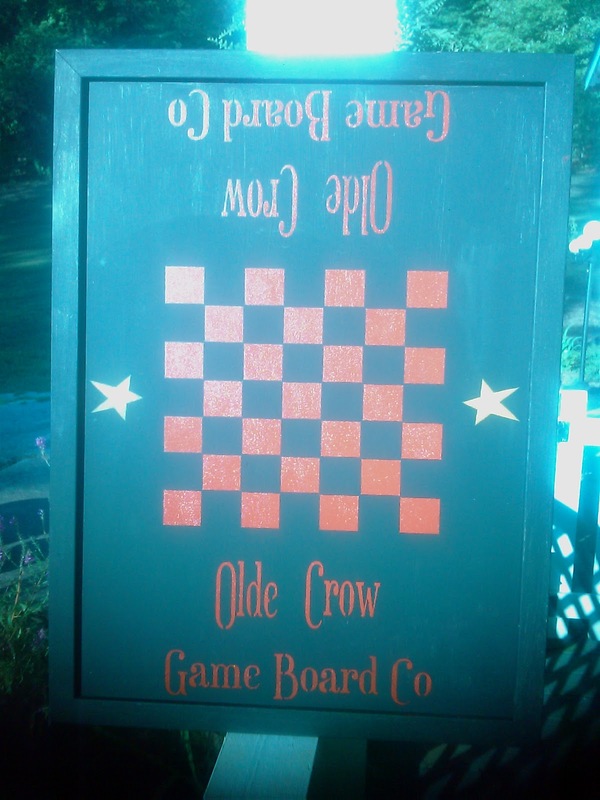 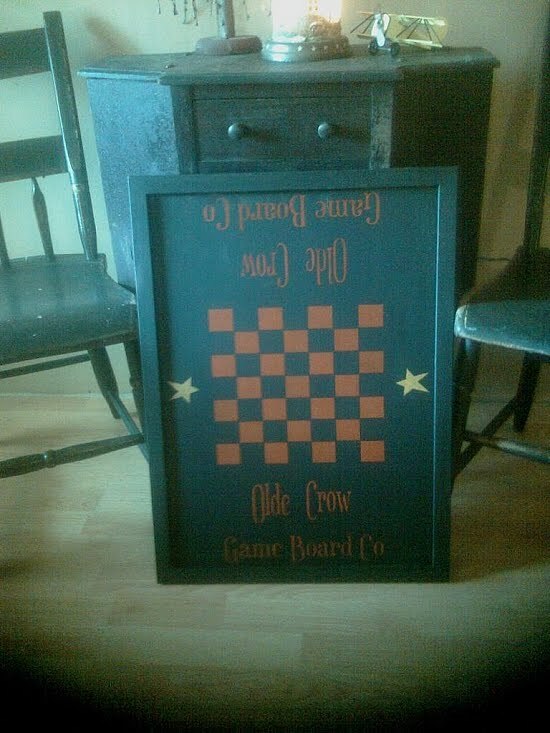 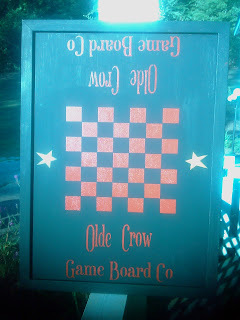 And stenciled on the saying, "Old Crow Game Board Co." that I got off from eBay also. 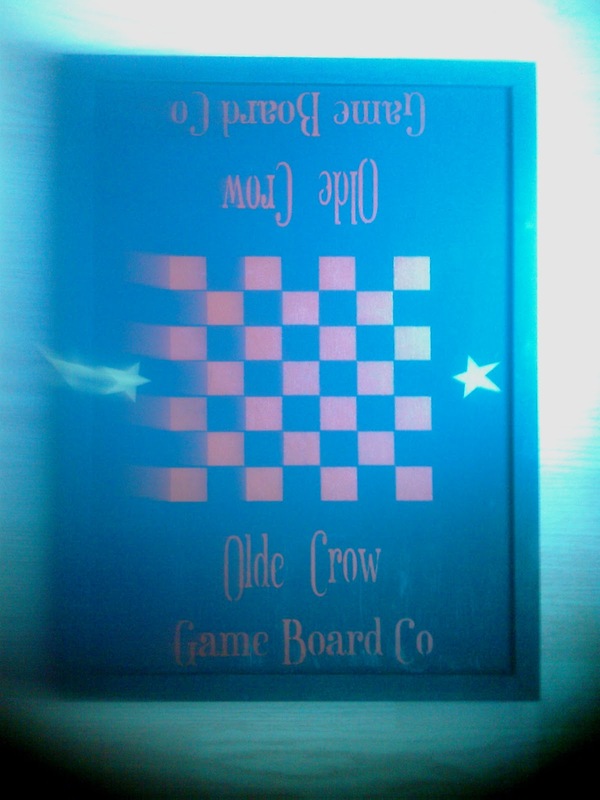 The top may look upside down to you, but I made it like that so it can really be played. 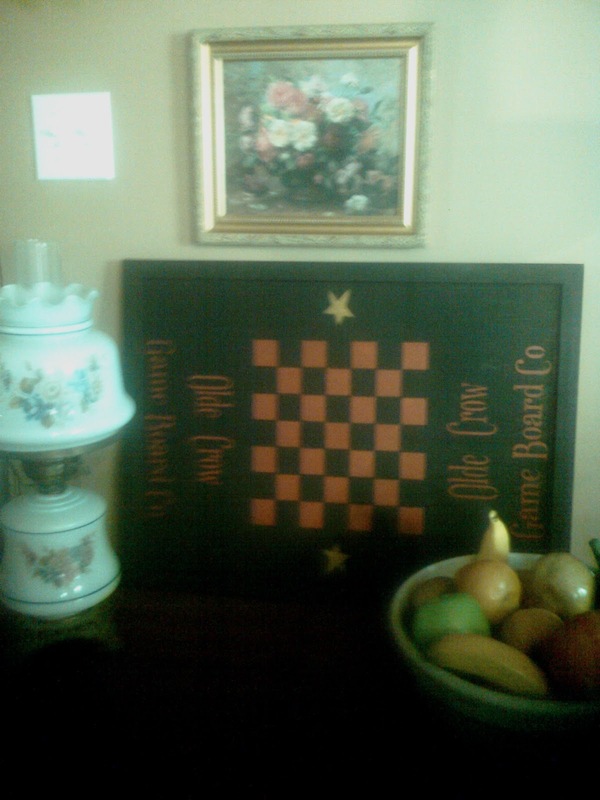 A usable item for sure! But, being such a large size I couldn't find a good sitting place in my house to keep it. So I put it up for sale in my Peddler's Mall Booth#555.